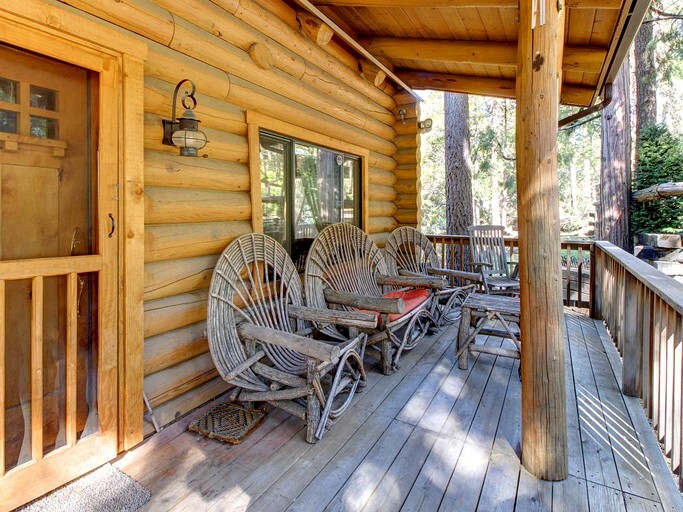 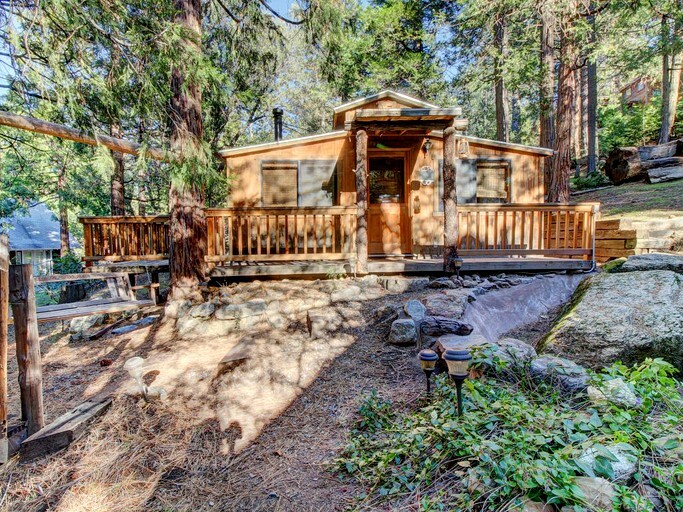 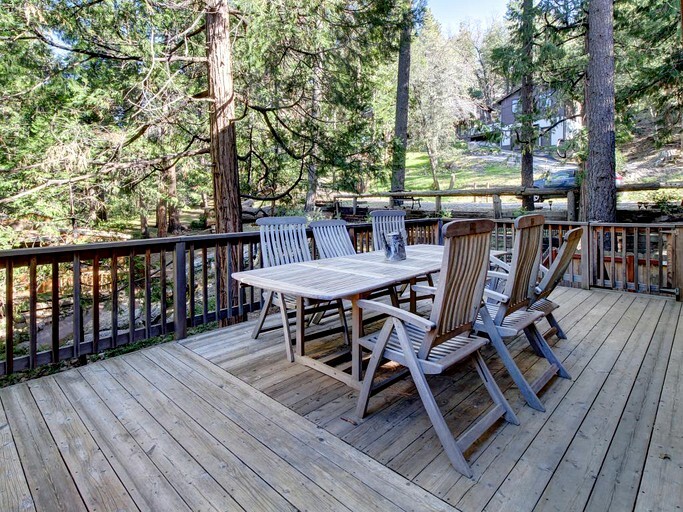 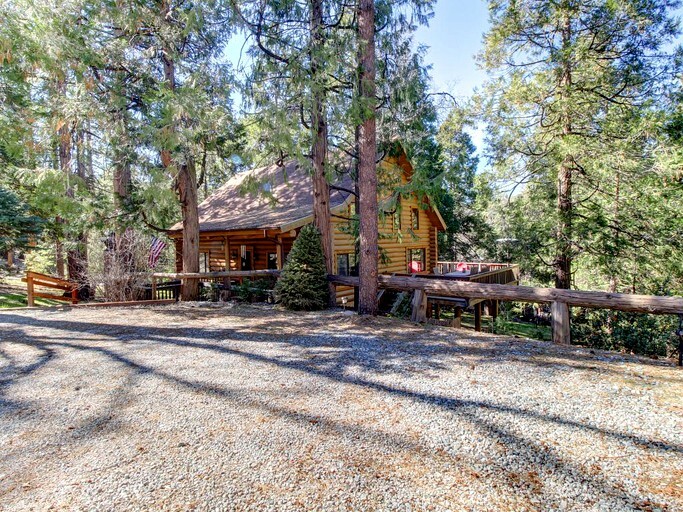 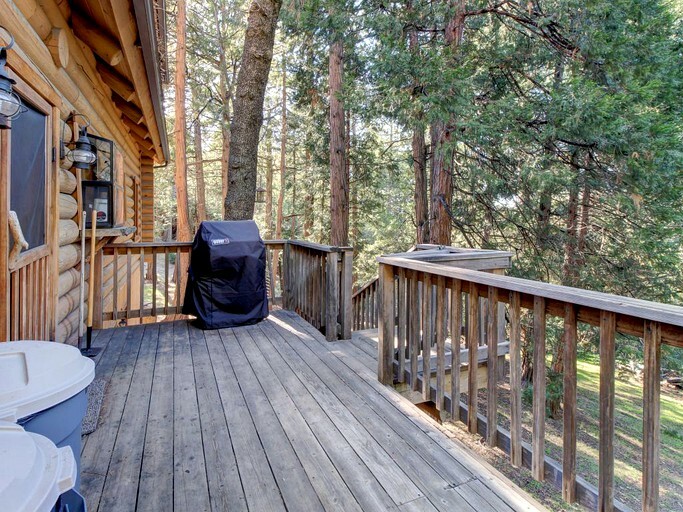 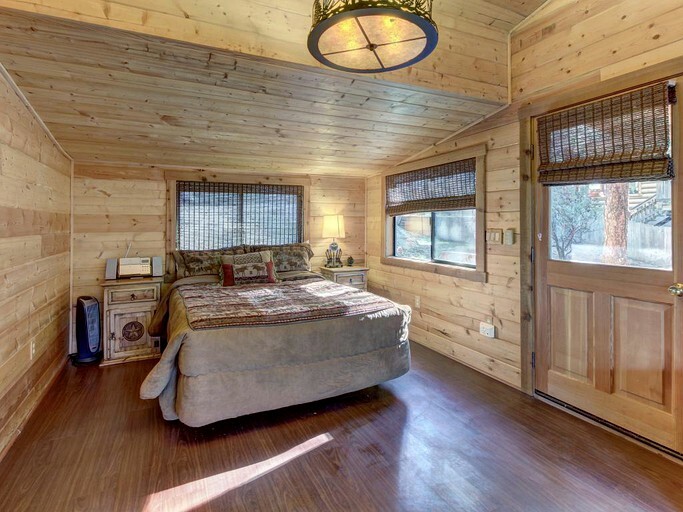 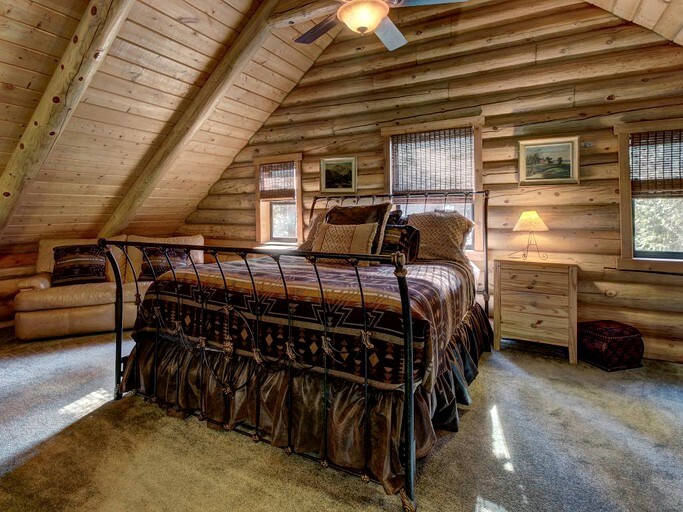 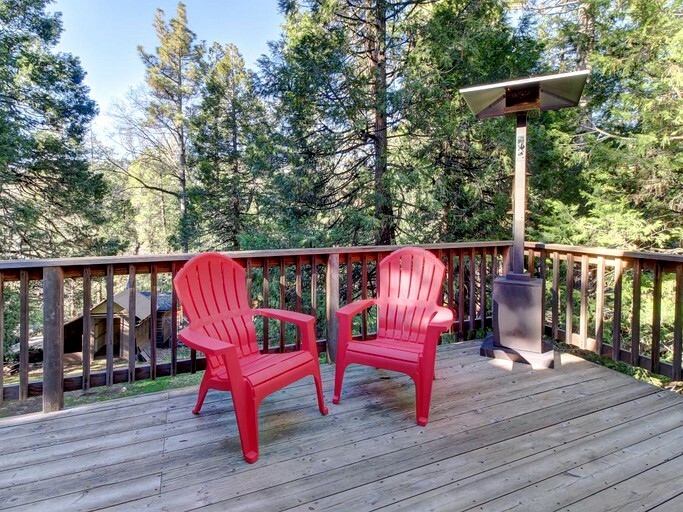 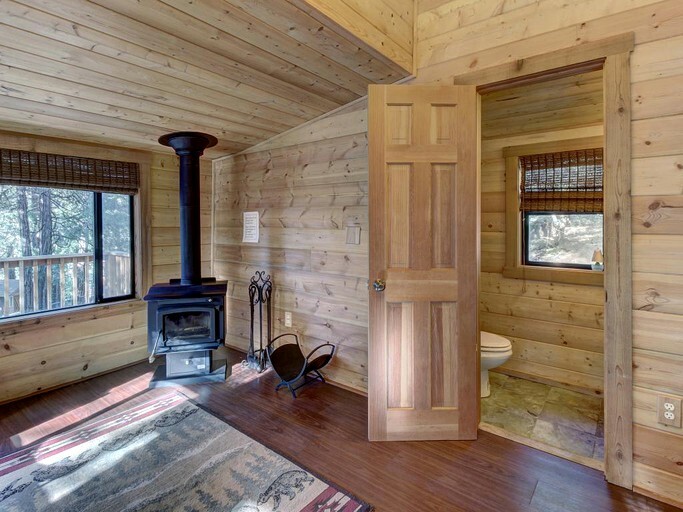 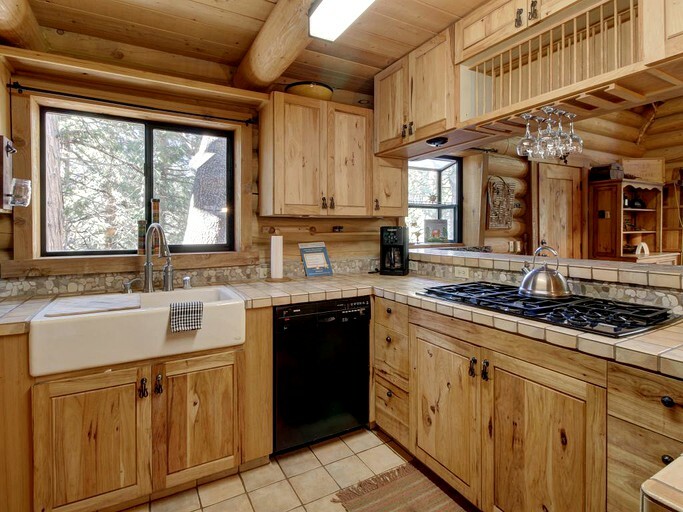 This log cabin mountain escape in Idyllwild, California, is the ideal getaway for up to eight guests. 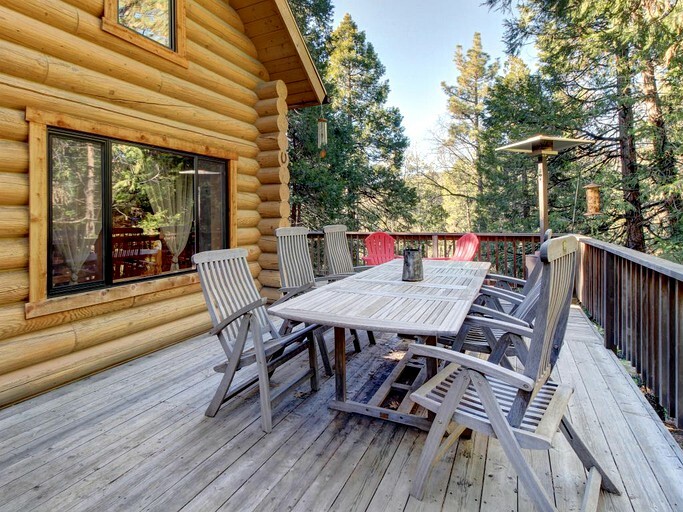 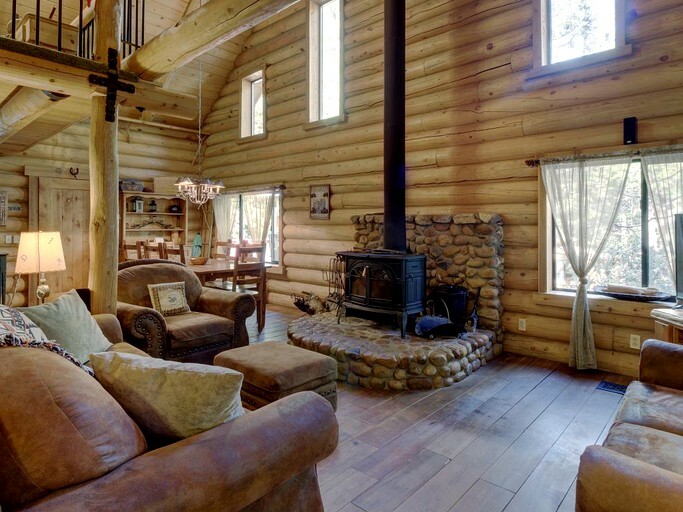 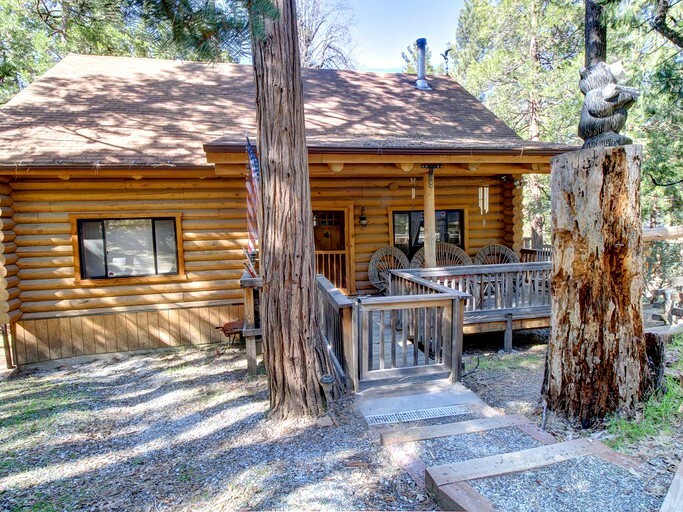 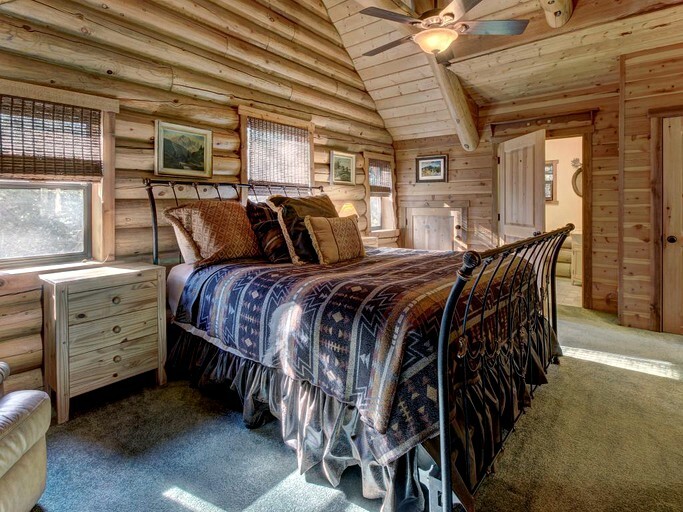 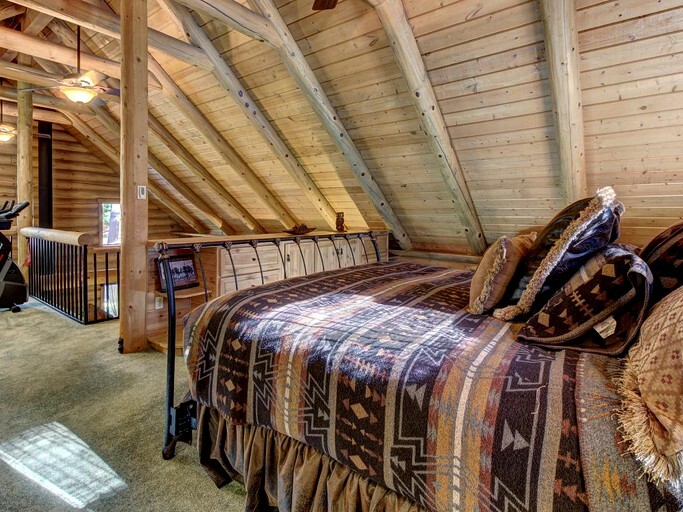 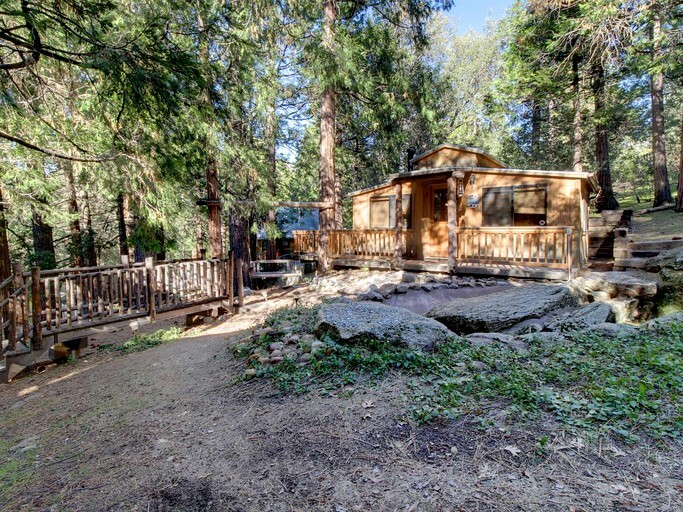 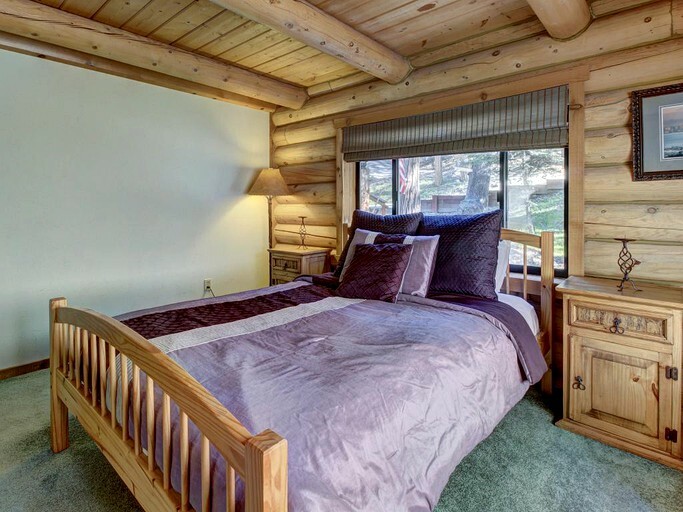 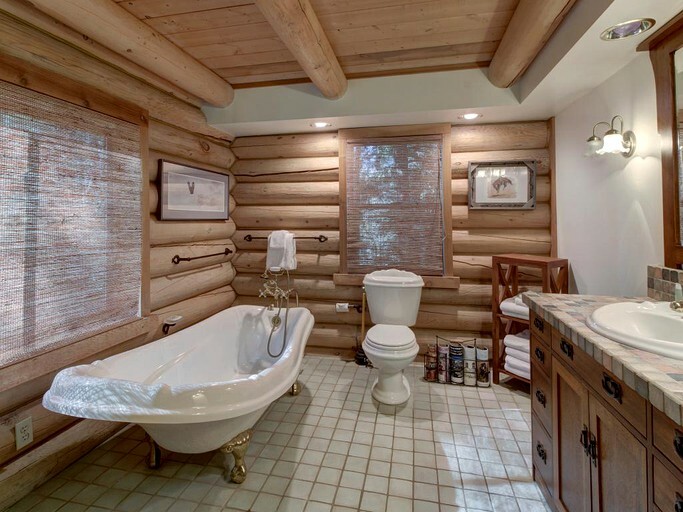 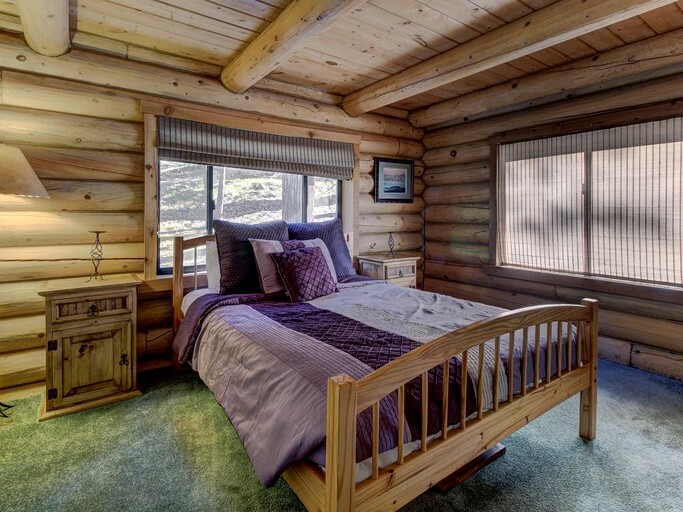 Situated in a secluded area of the San Jacinto Mountains, the cabin offers all of the luxuries of a vacation home, while also boasting unique décor that reflects the natural surroundings. 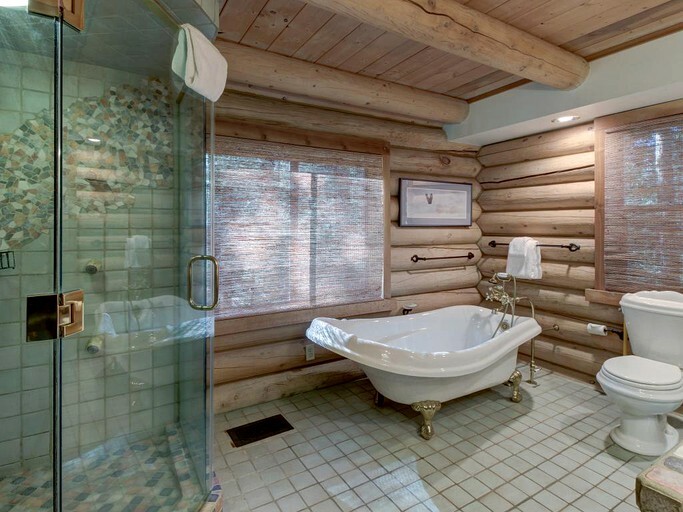 Every detail is carefully crafted from the wood-beamed cathedral ceilings to the log-paneled walls to the rustic-chic adornments. 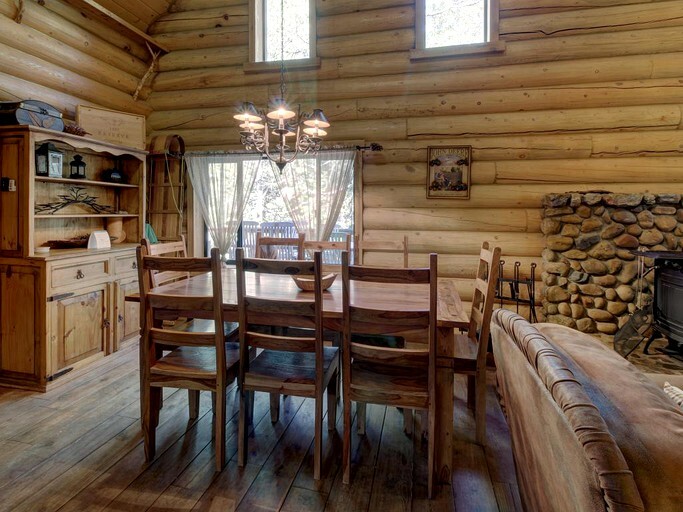 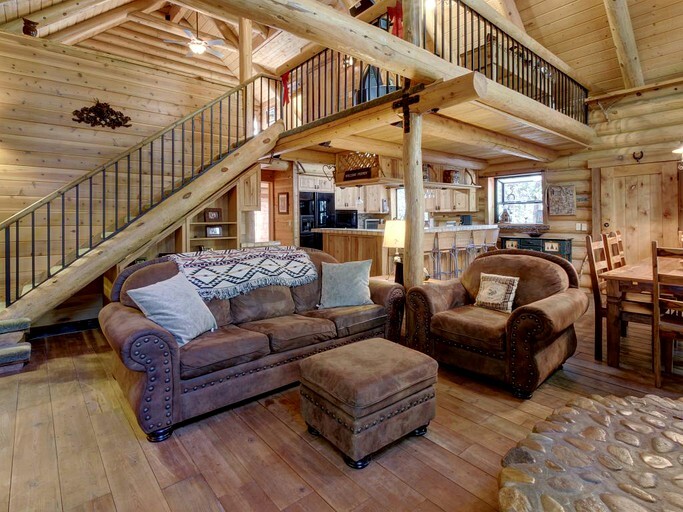 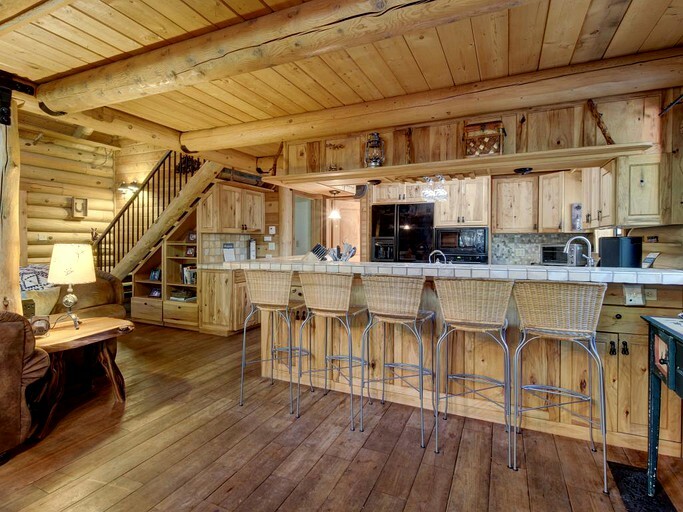 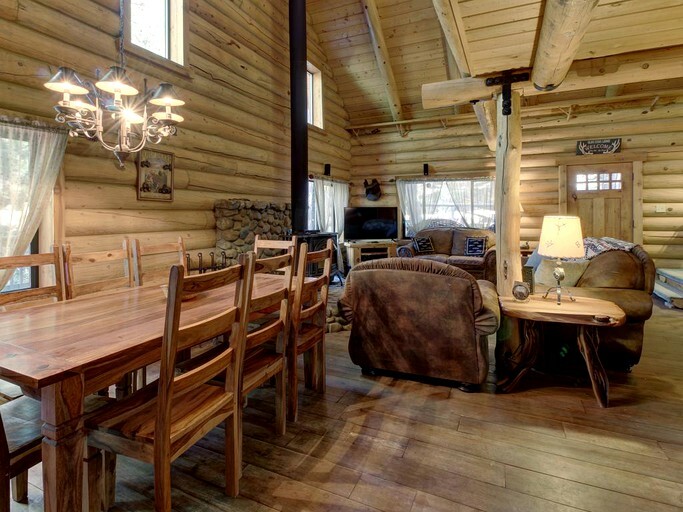 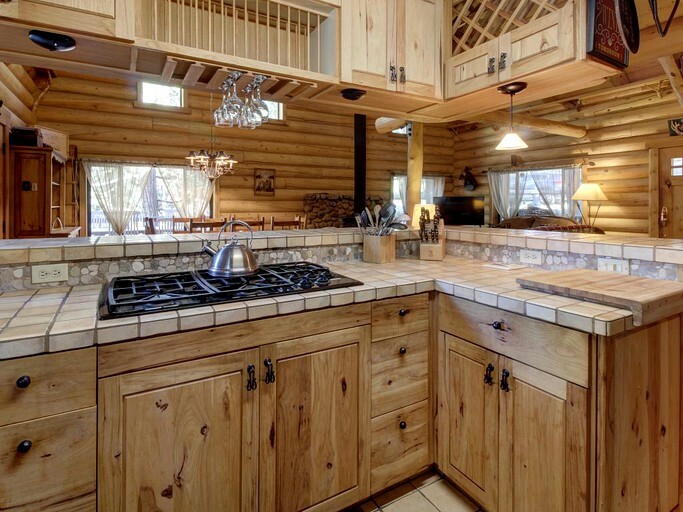 The cabin’s open floor plan features a living space with plush furniture, a cozy wood-burning stove, and a flat screen television; a dining area with a table for eight; and a modern, fully equipped kitchen with a farmhouse sink, lovely wooden cabinets, and a breakfast bar with seating so that guests can keep the chef company. 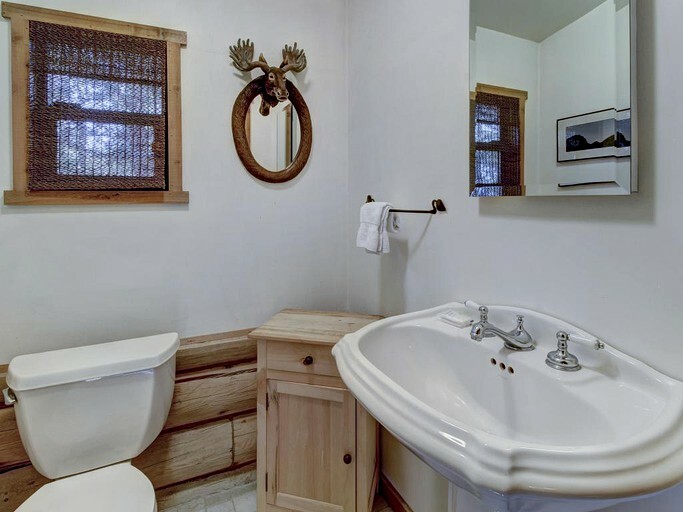 Just off the kitchen there is a comfy queen-size bed, as well as a spacious bathroom with a luxurious nature-inspired shower, a soaking tub, a vanity, and a toilet. 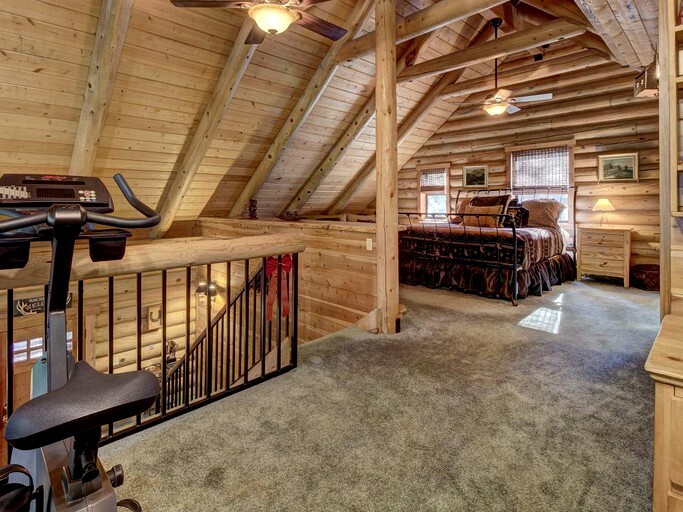 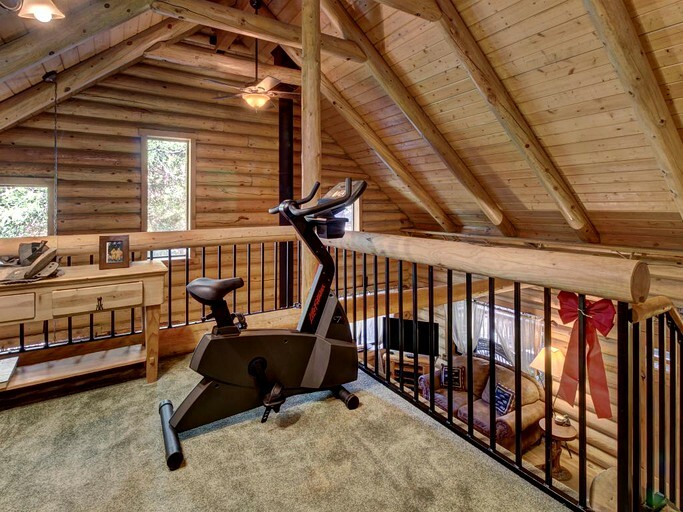 The second floor loft boasts a king-size bed, an ensuite half bath, a loveseat for two, and a stationary bike for guests who want to keep fit during their stay. 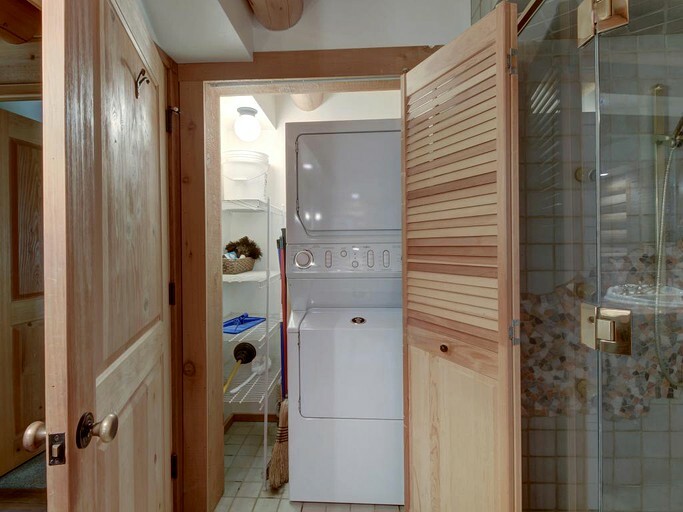 No need to over pack for this vacation getaway, because a washer and dryer are available on the property. 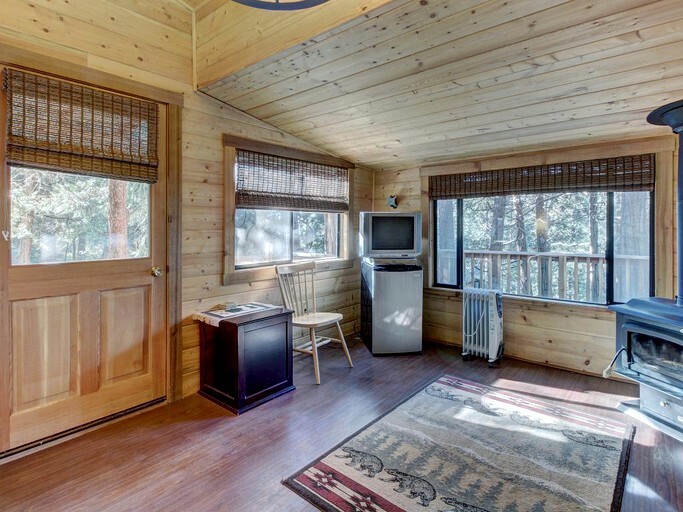 Everyone can also stay plugged in through the cable television and Wi-Fi. 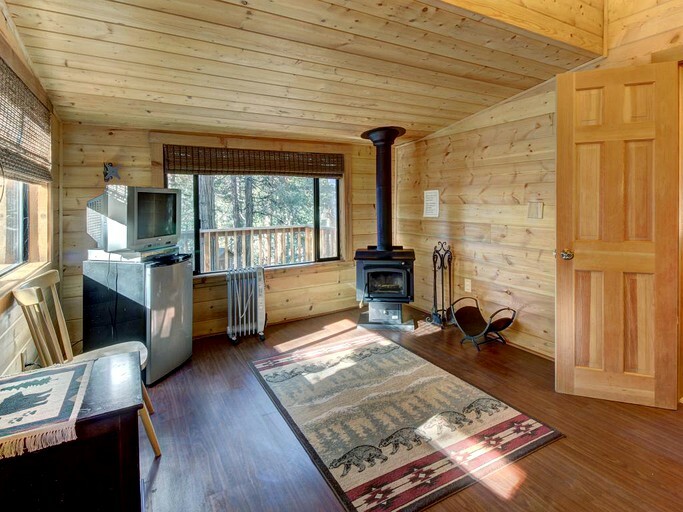 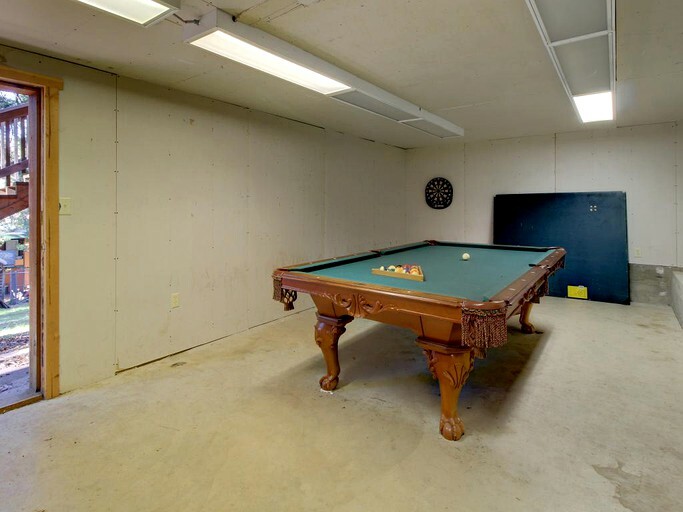 After a long day of discovering the area, glampers can grill up a quick meal on the gas barbecue, challenge a family member to a friendly game of pool, pingpong, or darts in the game room, or even get a workout in on the loft’s stationary bike. 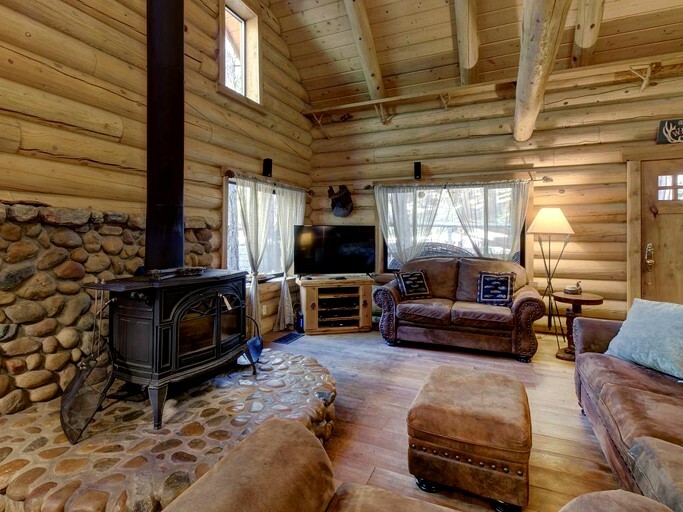 Four-wheel drive is usually necessary to access the cabin during winter months due to the unpaved driveway.